Stoves require air gaps around them (sides, rear, top) so the heat can make it into the room. Air gaps are not a safety issue if there are no combustible materials present. Air gaps are sometimes specified in stove instruction manuals but often are not. Sometimes they are “recommended”. Usually recommendations for distances to non-combustibles are between 5cm and 15cm. To combustible materials we are looking at far more (often 40-80cm). For this article we focus on distances to NON-combustibles (distances to COMBUSTIBLES can nearly always be found in stove installation manuals). Stove manufacturer’s usually request a certain air gap around wood burning stoves, to non-combustible materials (not to be confused with combustible materials), left and right: usually between 2″ (50mm) and 6″ (150mm). This recommended distance is often in the fitting instructions and not in the advertising brochure (so download the fitting instructions to find out – e.g. Google Saltfire ST2 Fitting Instructions or Manual). For this reason you do not want to buy your stove before you know the size of your fireplace recess. This air gap is there for one reason: to ensure that the heat from the stove gets to the room and is not just heating up the inside of the recess. The manufacturer does not want you ringing up and saying you “paid all this money for a stove and the wife says she’s “colder than a Penguin’s knapsack”. There is no building regulation involved here: a stove can go as close to a brick wall as you like as long as there are no combustible materials around (as an example inset stoves almost touch or do touch the brickwork so, obviously, there can be no safety issue). You cannot overheat brick or stone. Manufacturer’s instructions override Building Regulations but only if it is a safety issue. However, some Building Control Officers treat manufacturer’s “recommended” instruction manuals as sacrosanct so be careful. If the air gaps are not as much as you require then you might choose to “bring the stove out into the room a little” to compensate. One way of bringing a stove a little further into a room is two elbows on top of the stove – to create an offset that moves the stove away from the back wall. Contrary to what some may say you CAN fit two offset elbows directly to the top of a stove (chimney manufacturer’s often recommend a 60cm vertical flue before you change direction but this is only a recommendation and not biding if your recess is not high enough). You can achieve approx. 8-12cm offset using two 30 degree or 45 degree elbows. This might mean a lintel needs to be raised to fit everything in and ensure the vertical part of the top elbow passes through any chimney closure plate making the seal easier to deal with – being a round hole rather than an ellipse). See part three of our Beginner’s Guide. 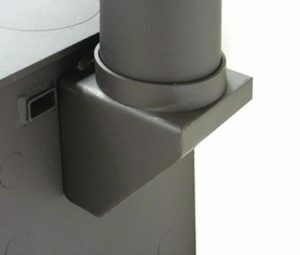 Another way of fitting a stove in a recess that is bit tight is to choose a stove with a “sweepable through stove” 45 degree rear connector (shown below). This brings the stove further into the room. 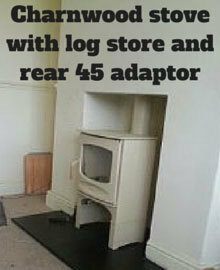 A 45 rear adaptor allows sweeping through the stove (very few stoves have such a feature but Charnwood stoves have this part as an optional extra). You might also have seen a sweepable 90 degree “T” off of the rear of a stove and this is also a method one might choose – but only if you have plenty of gap (at least 30cm) to the side of your stove so the sweep can get in to use it (sweeping via the stove is not allowed/possible if the bend behind the stove is more than 45 degrees). 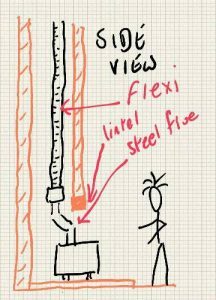 Note that a “90 degree bend without a soot door” off the rear is forbidden as a small soot-fall may restrict or block the flue at the bend (and 2x 45 degree elbows = 90 so you cannot cheat by using 45’s). Elbow offsets, rear sweepable adaptors and 90 degree T’s all result in a good part of the stove being in the room rather than the recess and there is less issue with the heat not getting to the room. I would happily offer this solution to a customer as long as a customer is happy that the manufacturer’s “recommended” instructions re air gaps at the sides have been compromised and the issue has been fully discussed. A part of the stove might have a 4″ rather than 6″ side air gap, but the stove is now part outside the recess, and we are using common sense here and there is no reason for any concern whatsoever. Now some stoves only request a 2 or 3″ side air gap and some make no recommendation whatsoever (so it is up to you and any inspector). Convector stoves are sometimes worth considering. These are twin skinned so the outside of the stop does not get quite so hot (the heat comes from the glass and air vents at the top of the stove) and therefore a manufacturer might specify a smaller side air gap (a decent gap above the stove might then be a good idea). Don’t get hooked up on convector stoves though – just a stove like any other but the sides get very hot rather than very, very hot. All of the different methods of connecting a stove within a recess are shown here (see part 3 of the article). Air gaps to non-combustibles behind stoves? 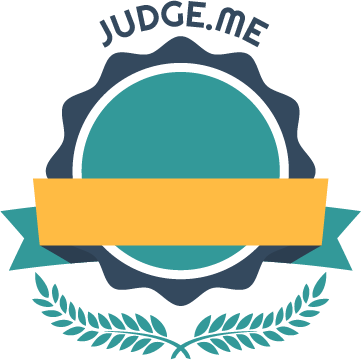 2″ absolute minimum but 3″ is our minimum recommended and more if you can get it. But check those manufacturer’s instructions. Air gaps to non-combustibles above stoves? 10cm minimum. Strive for 20cm. 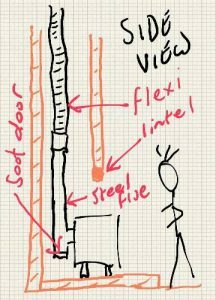 You need 35cm minimum between top of stove and chimney closure plate if fitting two offset elbows or a pipe with a soot door (soot door only required if you cannot sweep through the stove for some strange reason). Lining a recess with 12mm thick Hardiebacker board? Allow for minimum 4″ air gaps if lining the recess with Hardiebacker board to ensure it does not crack with the heat (5″ or more if you can get it).